The Democratic primary race for Hawaii governor appears to be tightening, according to the latest Civil Beat Poll. 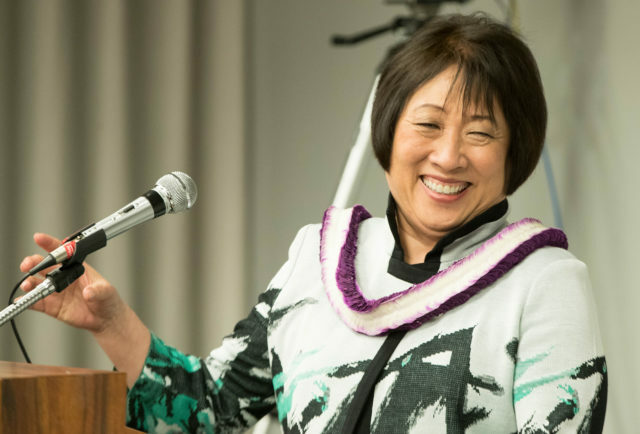 Congresswoman Colleen Hanabusa held a 6-point lead over Gov. 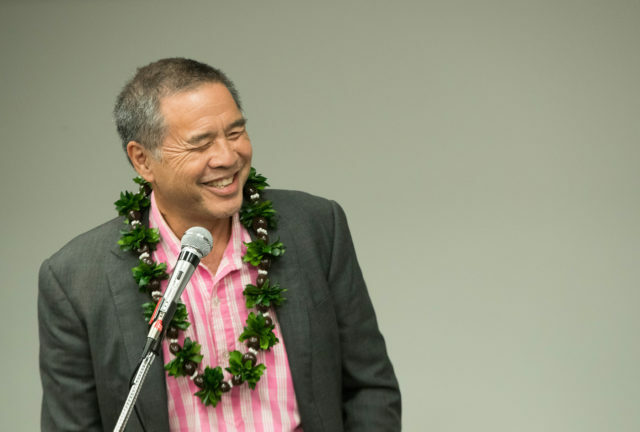 David Ige in the poll, conducted May 3-5, with 37 percent to Ige’s 31 percent. Former state Sen. Clayton Hee trailed with just 11 percent support. The sample size was 707 likely Democratic primary voters statewide and had a margin of error of plus or minus 3.7 percent. Hanabusa had a 20-point lead over Ige in the only other major public poll of the candidates, conducted in mid-March by Mason-Dixon Polling & Strategy for the Honolulu Star-Advertiser. She had 47 percent support from likely voters, followed by Ige at 27 percent and Hee at 11 percent. There were 15 percent undecided. Matt Fitch, executive director of Merriman River Group, which conducted the poll for Civil Beat, said a deeper dive into the detailed results suggests Ige is in “big trouble.” The governor is competitive in some areas, like among Asian-American voters, but is not dominating in any area. The breakdown by ethnicity, political persuasion and age revealed some of the strengths and weaknesses of each campaign. Hanabusa led Ige in likely white voters with 34 percent to his 30 percent, with Hee trailing at 8 percent. But 24 percent of white voters surveyed said they were unsure who they wanted to win. The same percentage of likely voters identifying themselves as liberal/progressive were unsure, and 22 percent of those surveyed under 50 years old knew who they were going to vote for at this point. Charles Peebles, 39, of Honolulu, said Monday that he is one of those who needs to do more research on the candidates before he can decide who to support. 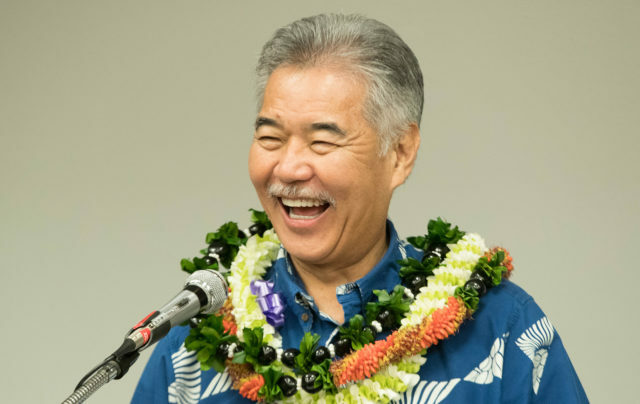 He said he agrees with Ige in general politically but doesn’t think he handled the false missile alert well — an issue Hanabusa has hammered the governor on ever since it happened in January. It took the Ige administration 38 minutes to recall the alert, which created a panic for thousands of residents who received the message about an incoming ballistic missile on their cell phones. But Peebles said Hanabusa has baggage from past land deals that concern him. The congresswoman and her then-fiancé, John Souza, who’s now her husband and campaign chair, were involved in favorable land deals with developer Jeff Stone while she was state Senate president. Hanabusa helped push a $75 million tax credit to benefit Stone’s Ko Olina development and Stone sold Souza a townhouse in the new development, which he flipped a year later for a $400,000 profit. Peebles said he was considering Hee but doesn’t know anything about the former state senator. While the candidates work to shore up their bases, they will likely also start targeting this large group of undecided voters. Other ethnicities already had a good idea of who they wanted to elect. Only 5 percent to 13 percent of non-whites were undecided. Hanabusa carried the Filipino and Hawaiian electorship in the poll while Ige maintained a narrow advantage with Japanese and Chinese voters. Hee trailed the other two candidates across the board but did best with Hawaiians. Carol Kwan of Mililani said Monday that she had voted against Hanabusa in the past but plans to vote for her this time around. She said she voted for Ige in 2014 because he was an engineer and was fiscally responsible but has not provided the leadership she expected. Kwan said she is concerned about Hanabusa being in the pocket of labor unions but thinks her personality is better suited for the job. “She doesn’t waffle,” she said, noting the controversy over the proposed Thirty Meter Telescope on the Big Island as an example where Ige should have been more assertive. Broken down by income, Hanabusa has more of a lead among wealthier residents than among those earning less. Hanabusa had 45 percent of likely voters earning $100,000 or more compared to Ige’s 29 percent and Hee’s 12 percent. For voters earning $50,000 or less, Hanabusa had 33 percent support, Ige had 28 percent and Hee had 17 percent. Geographically, Hanabusa, who’s from Waianae, and Ige, of Pearl City, were evenly split in urban Oahu but Hanabusa had a 21-point lead in rural areas around the island with 46 percent support. Ige had a 9-point edge in Maui County, which includes Maui, Lanai and Molokai, but trailed on Kauai and the Big Island. Hee did worst in Maui County at 3 percent and on Kauai had just 4 percent of the support. He pulled about 13 percent on Hawaii Island and Oahu. Earl Kawewehi said Monday that he felt Hanabusa abandoned him and others in Waianae. “She’s trying to advance herself at the expense of the people,” he said. Kawewehi noted that he’s of Okinawan descent, like Ige, and plans to support him for another four-year term. Fitch, the pollster for Civil Beat, recognized the disparity between the two polls but could not say definitively why there was a 14-point gap. He said the firm did notice that Ige did better with respondents using land lines and Hanabusa did excellent with those reached on cell phones. There usually isn’t much of a difference, he said, but other than possibly age being a factor, could not further explain the difference. For the full sample, it was 68 percent landlines and 32 percent cell phones. For the Democratic primary voters, it was a 71 percent-29 percent split. It changes slightly in the direction of landlines because more of the people the pollsters contact on cells aren’t “likely” voters, so a higher percentage of them are weighted down a bit.